Koepka, Thomas, Johnson, Watson, DeChambeau - who will win the PGA Tour's coveted Player of the Year award? Justin Thomas has told the PGA Tour to just give Brooks Koepka its annual Player of the Year award already following his two-major win season. "You win two majors, you've got it," said Woods, referring to Koepka's year which saw him defend his US Open title in June before going on to win the US PGA Championship in August. "It's not real complicated." It's tough to argue with that, or with someone who knows so much about the award having won it a record 11 times. And the most recent winner agrees. On Tuesday, the PGA Tour tweeted out its top-five contenders for the title. 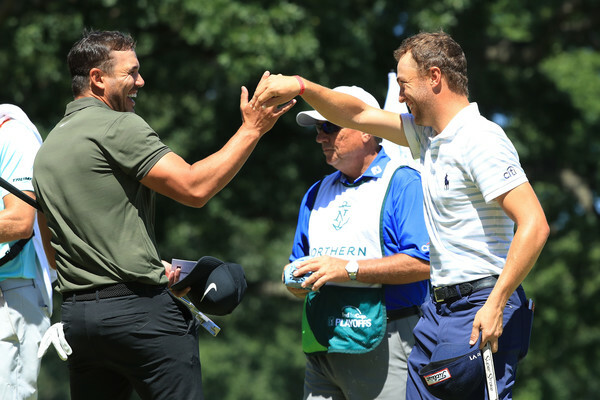 Koepka was joined on the list by three-time PGA Tour winners this season in Thomas, Dustin Johnson and Bubba Watson, as well as Bryson DeChambeau following his late-season charge with consecutive FedEx Cup Playoff wins taking him to the No.1 spot in the FedEx Cup heading into the Tour Championship next week.